The Republic of Ireland ended a controversial week with a 1-1 friendly draw in Poland on Tuesday as Millwall striker Aiden O'Brien scored on his debut. 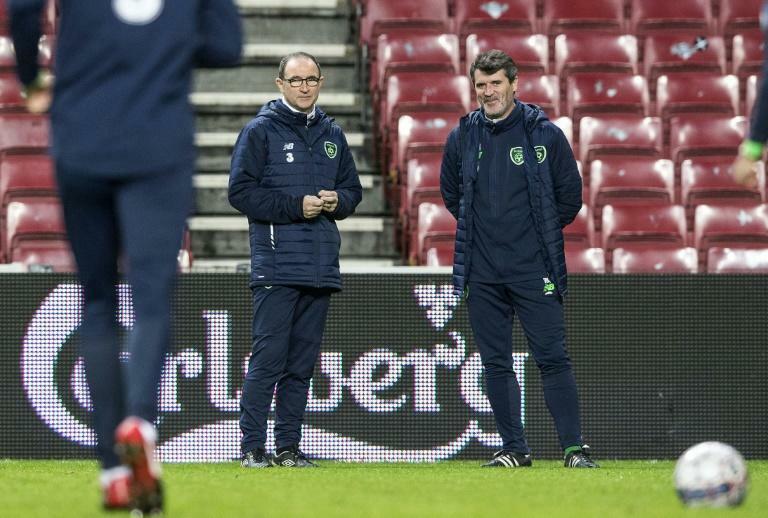 Manager Martin O'Neill had to defend his assistant coach Roy Keane after a leaked recording appeared to reveal the former Manchester United captain swearing at midfielder Harry Arter and striker Jonathan Walters as they prepared for matches earlier this year. Midfielder Arter, 28, has not played international football since. Having been thrashed 4-1 by Wales in their Nations League opener last Thursday, it looked for much of the second half as though the Irish would secure a morale-boosting win, but Mateusz Klich grabbed a late equaliser for Poland in Wroclaw. After a slow first 30 minutes, Arkadiusz Milik struck a long-range shot straight at Irish goalkeeper Darren Randolph as Poland struggled to break down a solid Ireland defence without Bayern Munich striker Robert Lewandowski, who was rested despite sitting on 99 international appearances. The visitors were almost the architects of their own downfall on the stroke of half-time, but after two failed efforts to clear a simple cross into the box, midfielder Grzegorz Krychowiak couldn't force the ball home. Ireland finally managed their first shot on target early in the second half, with Bristol City midfielder Callum O'Dowda's speculative strike easily held by Wojciech Szczesny. But that appeared to wake up O'Neill's side, and they grabbed a 54th-minute lead as the 24-year-old O'Brien met an O'Dowda cross to nod past a helpless Szczesny and into the net. Poland continued to dominate possession without regularly threatening, but Klich played a neat one-two with Milik before slotting home in the 87th minute, despite Ireland calls for an offside flag.